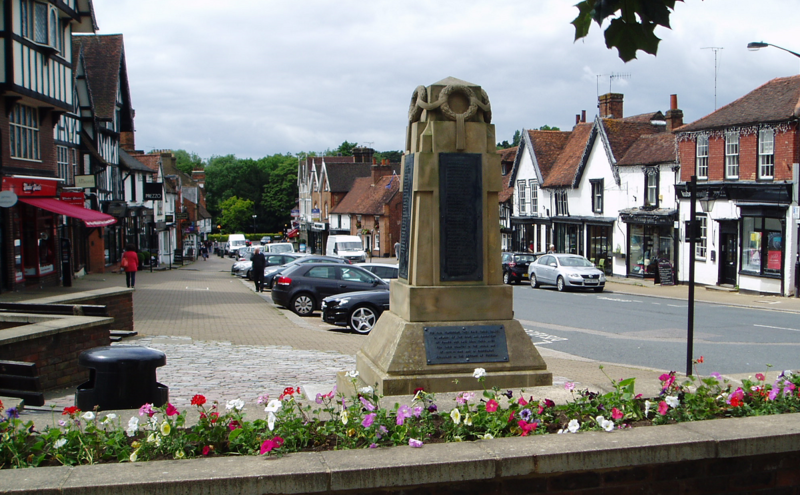 Have you noticed that the Flower Boxes on the street railings around Pinner, Pinner Green and Cannon Lane have been planted up for the summer? Harrow Council staff do the gardening, but the Northwood & District Business Club organise local businesses and societies to sponsor the annual cost of providing these attractive additions to the street scene. 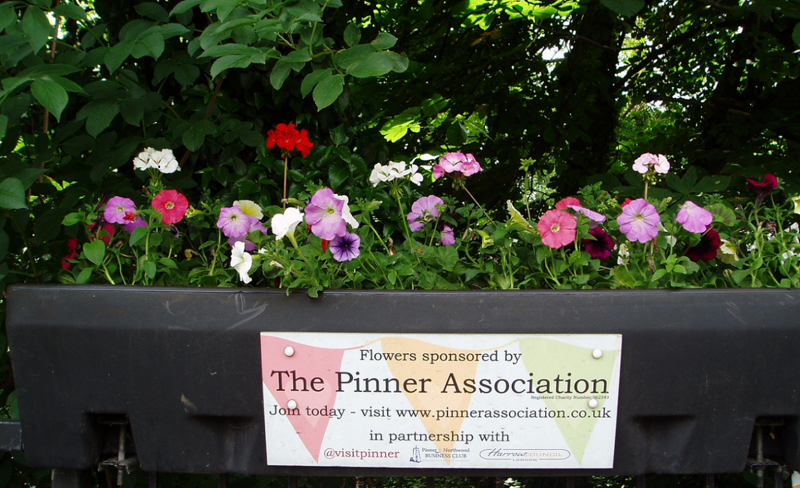 The Pinner Association are pleased to be able sponsor eight of these flowers boxes every year. Following a request from The Pinner Association, Harrow Council have also kindly planted up the split wall at the Pinner High Street War Memorial, and this is looking very pretty with dainty multi-coloured petunias and pelargoniums flowering in the June sunshine. Previous Previous post: Donation to Harrow Foodbank.